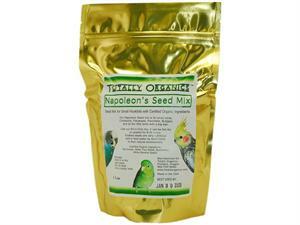 Totally Organics Napoleon's Seed Mix is formulated for smaller hookbills like budgies, cockatiels and parrotlets. It can be fed dry, soaked or sprouted. Soak for 5-8 hours before serving. 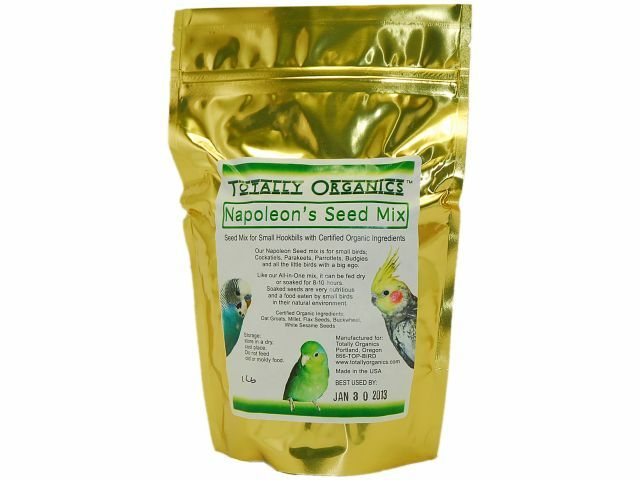 It is best served soaked because nutritional components have been enhanced by germination, which makes Napoleon's more of a natural and nutritious part of your little parrot's diet. Certified organic Ingredients: Oat groats, hulled millet, flax seeds, sesame seeds and buckwheat.